I am reproducing this facsimile as a reflection of the author’s social and political values of this period and in this location, but mainly as an example of her anti-Semitism (see pages 7/11/16/17/23/25/27/31/ 32/37/73); for the lady in question is the Baroness Margit Thyssen-Bornemisza de Kaszon, the wife of the German industrialist and banker, Heinrich Thyssen, and mother to their son ‘Heini’ Thyssen. 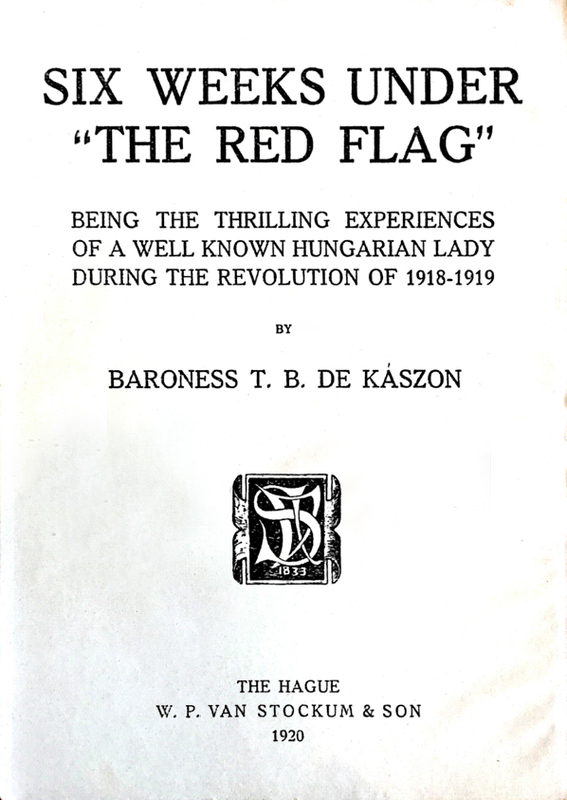 Originally the product of the union between the American Louise Price and the Hungarian Baron Gabor Bornemisza, she mysteriously adopted the name Gabriele in this book; her real name being Margit. Her daughter Margit married into the Batthyany family, who had originally owned Rechnitz castle, and it was this Margit who hosted the party in 1945 during which 180 Jews were murdered as after-dinner entertainment. 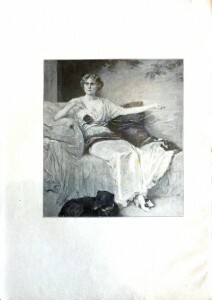 It was Margit Batthyany‘s great-nephew Sacha Batthyany who wrote the book ‘What’s That To Do With Me?‘ (english title: ‘A Crime in the Family‘), in which he also expressed his opinion of Jews and communists and adopted a similarly flexible, though less theatrical, attitude towards the truth; particularly concerning the Rechnitz massacre. 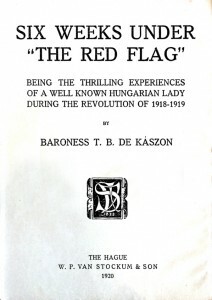 Many years later Margit Thyssen-Bornemisza’s other daughter ‘Gaby’ Bentinck (pictured on page 48, on the right) admitted to me that their escape from the castle in 1918/9 had involved nothing more dangerous than being driven to the station by their chauffeur, from where they caught a train to Vienna.